Getting into a reliable vehicle is important for everyone, especially for those that reside in Washington, DC and surrounding areas. With almost a quarter of all residents commuting from the outside counties of Montgomery, Prince George, Arlington and Fairfax for work, over 50% of DC employees don't actually live in the city. Even with an ample amount of public transit, such as the Metro and the Metrobus systems, there is still a large need for other means of transportation, such as a car, truck or SUV. For those who have found themselves in financial binds that have resulted in bad credit, Auto Credit Express has some good news; we can help you find a dealer in your area that will work with you. According to FICO, a credit score under 620 is considered bad credit. When you are trying to find auto financing with bad credit in Washington DC, it can be downright discouraging. You may actually start to think that your only options will be found in the outlying areas of Maryland and Virginia. In order to make things easier, Auto Credit Express can find you the best bad credit dealers that are actually located nearby. You don't need to go through multiple denials when looking for a loan. In fact, we strongly advise against that. When you apply for one loan after another, you are causing your credit score to get worse. Don't do that to yourself, and don't waste unnecessary time. Instead, let us help you get what you need. If you have experienced a Bankruptcy in your past, you may have been turned down whenever you have attempted to take out a loan. In fact, you may even think that getting approved for an auto loan with a bankruptcy is just out of the question. Unfortunately, as you have come to discover, not all financiers have the means to help those who are simply dealing with unfortunate situations. Auto Credit Express understands that bad things happen to good people, and because of that, we have formed a network of lenders and dealers in the East and Northwest Virginia areas as well as in South and West Maryland. We have helped people who have gone through Ch. 7 and Ch. 13 bankruptcy before, and we're ready to help you. Once you have been discharged from your Ch. 7, or received approval from the court trustee in the case of a Ch. 13, these dealers will look deeper into your finances and won't make your credit history a top priority when deciding on approval. Average Miles: 18 637 are for sale right now! Average Miles: 8 335 are for sale right now! Average Miles: 2690 313 are for sale right now! Average Miles: 949 261 are for sale right now! Average Miles: 233 175 are for sale right now! Average Miles: 36174 165 are for sale right now! Average Miles: 13 155 are for sale right now! Average Miles: 6 154 are for sale right now! Average Miles: 37436 146 are for sale right now! Average Miles: 37870 138 are for sale right now! When you need a car fast, Buy Here Pay Here dealerships are an option available to you. They look beyond your credit history and focus on your income and employment status to approve you for a loan. In addition to that, they provide flexible payment plans; you will make your payments directly at the dealership on your paydays. First, they will verify your information to determine what you can afford. From there, they will work with you to determine a manageable payment. Once you know what you can afford, you will go on the lot and choose a vehicle that best fits your needs. Finding Buy Here Pay Here lots in the DC area is tricky; you'll probably have to look to the Montgomery or Prince George areas to find a dealer. Another thing you will want to keep in mind is that not every BHPH dealer is the same. We know that your time is valuable, and here at Auto Credit Express, we work with only the most reputable dealers and we can save you a lot of time and travel when you let us find the dealers for you. If you're looking for a quick, but more relaxed method of getting a car, you may want to consider Rent to Own. Unfortunately, for those in the DC area, the places that offer this type of open ended financing are almost nonexistent. These dealers aren't concerned with your credit history. Instead, they care only about your income and employment. These are the two key factors they look at to determine that you can make the monthly payments. Since the contract is treated like a rental agreement, your payment goes partly to the principal balance of the car, and the other part goes to the dealer. If you like the vehicle, you can purchase it at the end of the rental term. Because this type of agreement is so non-committal, the Washington DC Rent to Own car lots will have GPS devices and Kill Switch systems installed in the cars so they can locate and retrieve the vehicle in the event you stop paying on it. 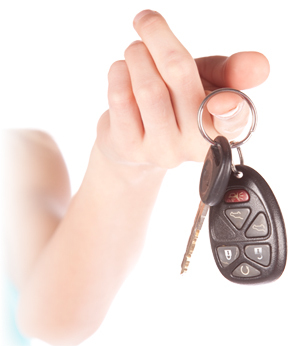 In House financing dealers will provide you with auto loan approval through their dealerships. They don't work with banks or other third parties; they are the lenders. For residents of Washington DC, or Montgomery County, this may be an appealing option because approval is simple and quick. 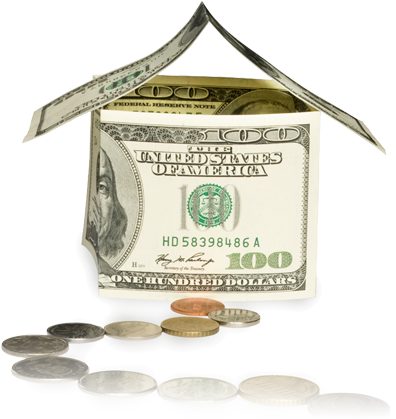 Since you are right there with the lender, you can see everything that is going into your loan. This makes it easy for you to know that you are getting a proper deal. Just be aware of the age and mileage of the car you will be paying for; you don't want to spend more than you have to. Auto Credit Express can help you get a fair deal by finding you the best dealer or lender in the DC or Montgomery area.